Tomorrow is December, but the year has already started winding down. There’s still a lot to be done before the holidays, and this weekend was quite full. We had some relatives staying with us this weekend, which meant a little extra cleaning (because that’s what I do when we’re having company). Of course, this was after the weekend before when we had a family party, and that, too, required some extra cleaning. Well, I required that, but, still. Today I went to an end-of-year get-together for Labour Party members in our electorate. It was a very casual gathering, and it’s always nice to have the chance to have political discussions like that. Most of us have friends or family members who aren’t political, so it’s nice every now and then to get together with people who also have a passion for politics. The fact that we’re members of the same party doesn’t mean we all think alike. In fact, sometimes we can have rather robust debates. But one thing we all agreed on is how impressed we were this week with Andrew Little. Many of the folks there didn’t vote for Andrew in the Leadership election, and some even rated him third or fourth, but all of us were happy with how well he’s done so far. Some of us may have been surprised, but even for them it was a very pleasant surprise. When I got home, I made my online submission for Labour’s formal election review. And, no, I’m not sharing what I said. Actually, I didn’t say much I haven’t shared on this blog already, and much of the rest is frankly not all that interesting to people outside the party, stuff about internal issues. This coming week is my final work project of the year, and then I’m off from mid-December until the end of January. Nigel’s also off for much of that time, so that’ll be nice long summer holiday. Maybe I might even have time for a photo or two, as well. And that’s it for this busy weekend—and month. Recently, I saw the trailer for Star Wars: Episode VII – The Force Awakens (above), which looks pretty good to me. I also saw the trailer for Jurassic World (below). I’m VERY meh about that one. I liked most of the Star Wars movies, apart from Phantom Menace, which I pretty much loathed, and Return of the Jedi, which was pretty silly, but not nearly as bad as Phantom Menace. To me, this new one looks more like what was good about the original three (the first two in particular). I think I’d like to see this one at the movies. Jurassic World, on the other hand, looks like the same movie we’ve already seen several times. I enjoyed the original Jurassic Park, but all the others seemed like basically the same movie repeated. This one looks no different: It all starts out all right, but scientists get arrogant/careless and the results are people running, being chased and then eaten by dinosaurs. I think this is probably one I can wait for until it comes on pay TV. Sequels can be fun, even when it’s just because they’re laughably bad. In the case of these two movies, the first looks promising to me, the second doesn’t. I’ll find out eventually. Star Wars: Episode VII - The Force Awakens opens in New Zealand on Thursday, December 17, 2015. Jurassic World opens in New Zealand on Thursday, June 11, 2015. Today has been a pretty ordinary Friday, really, as I took care of some things around the house. But at one point I was tidying up and decided to call the puppies. Sunny came running, followed by Bella. I grabbed my phone. The photo above is one of the ones I took of Bella. For some reason, she wouldn’t hold still and wait for me to take a photo. Diva! Seriously, the photo here is what I thought was the best of the lot. It all started, however, when I decided to do a “Sunny Selfie”. She wasn’t entirely sure it was a good idea, possibly because I’d forgotten to mute my phone and it was making “shutter” noises every time I snapped a photo. In any event, the below was the best of the lot. Jake, meanwhile, was begging for a cookie from his other father. His patience was not rewarded, and he missed out on a photo, too. Mind you, he’s probably sick of having photos taken of him. And that’s why today’s photos are just of the girls (and a little bit of me). There’ll probably be photos of all of them, including Jake, next week; it’s a busy work week again. So, anyway, this all just goes to show that there’s far more to life than politics. Even for me. John Key is playing all New Zealanders for fools. In his brand of dirty politics, he just pretends he doesn’t remember things, and voila! problem goes away. But NZers are smarter than that, and we know he’s lying more often than not when he claims not to remember something. That video of Sgt. Schultz (portrayed by John Banner) from the American sitcom Hogan’s Heroes is a good approximation of what John Key looks and sounds like when he’s responding to media enquiries about the latest revelation of his dirty politics. I’m reminded of this most frequently of all. We don’t know if John Key is a crook, certainly he constantly claims he’s never done anything wrong, but he refuses to allow a full and open inquiry, so we can’t know the truth. Of course, Richard Nixon also wasn’t a crook in the sense he used the word in his remarks at a press conference on November 17, 1973 (above). Less then a year later, however, facing impeachment and removal from office because he turned out to be a crook of another sort, Nixon resigned the presidency. I have no idea whether John Key will face a similar fate, but the fact he staunchly refuses to allow a full inquiry into the “black ops” dirty politics of his government suggests there’s a lot he’s trying to hide, so who knows? In this video from a speech on January 26, 1998, Bill Clinton lied about his actions. John Key, less sensationally, obviously, lied about the fact he’s still in contact with National Party-aligned attack blogger Cameron Slater, a sort of “I did not have texts with that man” moment that was revealed to be false. On Tuesday, Key told reporters that Slater "sent me a text one time, but I can't remember when that was". Which was odd, since the text exchange was only on Monday evening—the night before. The next day, Wednesday, he denied in the House that he’d received texts, then had to return to the House that evening to admit he’d misled the House and that he had, in fact, had a text exchange with Slater. He claimed he didn’t understand Labour MP Megan Woods’ question, when, in fact, she’d asked TWO questions that he failed to answer truthfully. He said of his false statement to the press, "I gave a general answer because I didn't want to give a specific answer." Okay, then. He also said, "I didn't mislead people. I genuinely couldn't recall," which, quite frankly no one can possibly be expected to believe. So, John Key pretends he can’t see abuses of power going on within his own government, he declares he’s wholesome and above it all, and then he lies about his own behaviour. All of which is why so many New Zealanders are disgusted with his actions in the "Dirty Politics" scandal. If this keeps up, what will John Key remind me of next? Today is the fourth Thursday in November, and you know what that means, right? It’s the day after the fourth Wednesday. Because, here in New Zealand, that’s all it is. I know you all know that, but it’s kind of depressing how many Americans don’t. Thanksgiving has no meaning or significance for Kiwis, but American expats often try and keep the traditions alive—out of context, sure, and certainly a bit alien here, but we try. Not this year, not really. When I’m able to celebrate Thanksgiving, it’s always on Friday our time, because that’s Thursday—and Thanksgiving Day—in the USA. Some years I’ve made dinner, but this year, as has been the case in other years, everyone’s busy or otherwise unable to join us for a special meal, so it won’t be happening this year. Maybe next year. The truth is, Thanksgiving is the time I’m most keenly aware that I live in a country I’m not from. Or, more accurately, I’m keenly aware of what I don’t have: All my blood family, my oldest friends, everything I knew as a child and young adult, are over there, and I’m here. It often makes me feel a bit melancholy, which is precisely why I try to celebrate the day when I can: It makes things better. 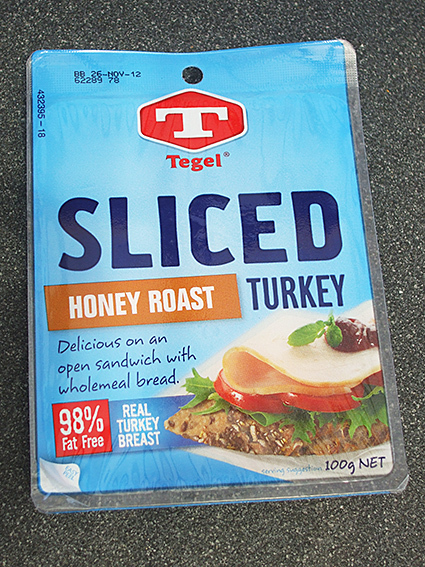 Today I made a turkey sandwich for lunch. 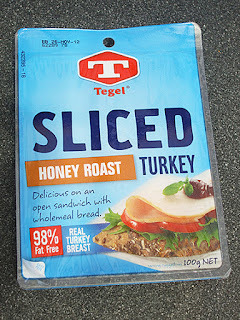 The photo above (from 2011) shows the meat I used for my sandwich. That's also why I call this “Turkey Day”, because that’s really all it is. Two NZ chains of electronics stores are having “Black Friday” sales tomorrow, which is even more divorced from its context than me making a big meal for Thanksgiving. Mind you, I can certainly see why they’d do it—New Zealand has no real start to its Christmas shopping season—but it still seems a bit odd to me. Of course, that may just BE me. I may yet manage a kind of celebratory meal tomorrow, but either way, just like plenty of other Americans, I’ll be thinking about friends and family far away, some of whom have died. And, I’ll reflect on what I’m thankful for. That’s what the day is really about, wherever it’s observed. Prime Minister John Key should resign. I use the word should on purpose, because I know damn well that he won’t. He’s too arrogant and up himself to contemplate it. Even so, because of the abuse of power by his senior staff and senior ministers, and because he’s deliberately and repeatedly lied to the people of New Zealand, he should resign. The problem started back during the campaign, when Key lied about the “black ops” political dirty tricks operation his office was running, in connection with National Party-aligned attack blogger Cameron Slater. Then, when the report of the investigation into the politically-motivated release of NZ Security Intelligence Service information was released, Key disingenuously spun his response to try and convince New Zealanders that his office had done nothing wrong. He steadfastly refused to apologise to New Zealand for the actions of his staffers. “[Key] lied to the Gallery (reporters) on Tuesday, he lied in the House, he then corrected his lie in the House, he lied about the correction about the lie, this just goes on and on. The guy cannot tell a straight story. It's time to say game over, John. Front up, admit the truth, tell New Zealanders. Say sorry and we'll all move on." The problem with denial when you’ve done something wrong is that far from making the issue go away, it amplifies and protracts it. Admitting your mistakes tends to have the opposite effect. Your opponents may have a field day of self congratulation, but it will at least be brief. That’s precisely Key’s problem. But instead of apologising—or event admitting the mistakes—Key went on the attack (making all sorts of truly bizarre claims about Labour and the Greens), he tried throwing out all sorts of red herrings in a desperate attempt to deflect attention, and then he flat out lied. It’s been a truly despicable performance, and he came across as an arrogant jerk. Because John Key won’t resign, and his caucus won’t roll him until their polls drop low enough (which is likely to be quite awhile yet), Key has two things he must do. First, he must stop his nonsense and apologise to New Zealand. Second, he must back a Royal Commission of Inquiry into the whole “dirty politics” scandal. Unless he apologises, no one can respect him. Unless there’s a full, complete and impartial investigation, no one can trust anything he says, ever again. My prediction is that Key will do none of these things. Instead, he’ll continue to use denial, deflection, and attack, until it all finally blows over. And if history is any indicator, it will—until the next scandal hits National and John Key, because there will be one. The arrogance of Key, his cronies in caucus, National Party apparatchiks and assorted trough-feeders and hangers-on, is already getting out of control. So, even if this scandal does finally die, there WILL be another. Sooner or later, he’ll run out of luck, and out of time. John Key has been a disgrace, and he and his caucus have brought all of New Zealand democracy into disrepute. We’re better than that, better then them, and in 2017 (if not sooner), we’ll restore honesty, integrity and honour to the government so badly damaged by John Key. But he really should resign. The video above is a statement from Labour Leader Andrew Little on the Gwyn report on the political use of the NZ Security Intelligence Service by Prime Minister John Key’s office. Andrew Little nails it: "I think that this points to the sleaze and sludge out of the Prime Minister's office and it's high time this was addressed." Predictably, John Key has switched to attack mode, using his usual dirty politics modes of deflection and denial to try and shift focus off of the wrongdoings of his office and himself. I wonder if he’ll get away with it this time? Today Andrew Little, Leader of the NZ Labour Party and Leader of the Opposition, announced the new line-up for the party in Parliament. I think it’s a pretty good list overall, with a good balance of experience and freshness. Eight of the top ten were elected after 2008, which means that most of the front bench are relatively new MPs. This is balanced by the experience of Annette King as Deputy Leader, and Nanaia Mahuta at Number 4. Grant Robertson at Number 3 and Finance Spokesperson is also a very good choice: He’s one of the ablest debaters in Parliament and will take the fight to National’s Bill English. Annette is committed to being Deputy Leader for a year, and Andrew Little has said that his intention is reshuffle the line-up at the end of next year for the team that will take the party to the election in 2017. In the meantime, newer MPs will have the opportunity to prove themselves. Commenting on this balance, Andrew Little said in a press release, “Labour has many new and highly capable MPs who have will have the opportunity to prove their ability. At the same time our senior hands will be on deck to take the fight to the National-led Government and support our upcoming stars.” I think he’s absolutely right. Whenever a shuffle is announced, there are always grumbles from folks who feel that their faction didn’t get enough “important” portfolios, or who feel that one sector or another isn’t well represented, or even that a given portfolio should be held by someone ranked more highly. But it’s impossible to please everyone, and some people will always grumble (even if it’s only for the sake of grumbling). I noticed that all of the former Labour Leaders still in Parliament are included in the top 17: Little’s predecessor, David Cunliffe, is at Number 14, Cunliffe’s predecessor David Shearer is at Number 16 and Shearer’s predecessor, Phil Goff, is at Number 17. It’s good to see the former leaders and former deputy leaders working together in Caucus. It bodes well for the future. This was the first opportunity for a re-shuffle since the September election; the party had only an Acting Leader for most of that time, and it’s the Leader who determines the rankings. Andrew Little will now focus on acting as a sort of “Chairman of the Board”, as he put it, travelling around the country supported by Annette King. People often talk about the number of leaders that Labour has had in recent years, but they forget that since the first MMP election in 1996, the National Party has had five leaders, and Labour has had the exact same number—five. One of them, Helen Clark, was Leader for 16 years, nine of them as Prime Minister. Also, National’s worst election result was in 2002 when it won only 20% of the vote; Labour did better than that in 2014. All of which means that Labour’s recent past isn’t out of step with National, though I expect Labour to win in 2017, not almost win as National did in 2005. All in all, I think it’s a good line-up. The pundits will be watching closely for signs of factionalism, so they’d all better do their jobs well. If any of them don’t, there’s always the re-shuffle next year. The product in this video may be useful for some dog owners. Or, maybe not—I really have no idea. Certainly some dog owners will think it’s a good idea. Even if it is a good idea, our house doesn’t need it. But stuff all that: I just like the commercial. I tend to think that most dogs left alone for the day are probably best left alone—the device could make things worse for many dogs. Dogs with severe separation anxiety might benefit, but there are many techniques that veterinarians use to help. But as with human things, I tend to think if something helps then it helps—no matter what others think about it. A comment on this video said that if people have to leave a dog alone, they shouldn’t have a dog. 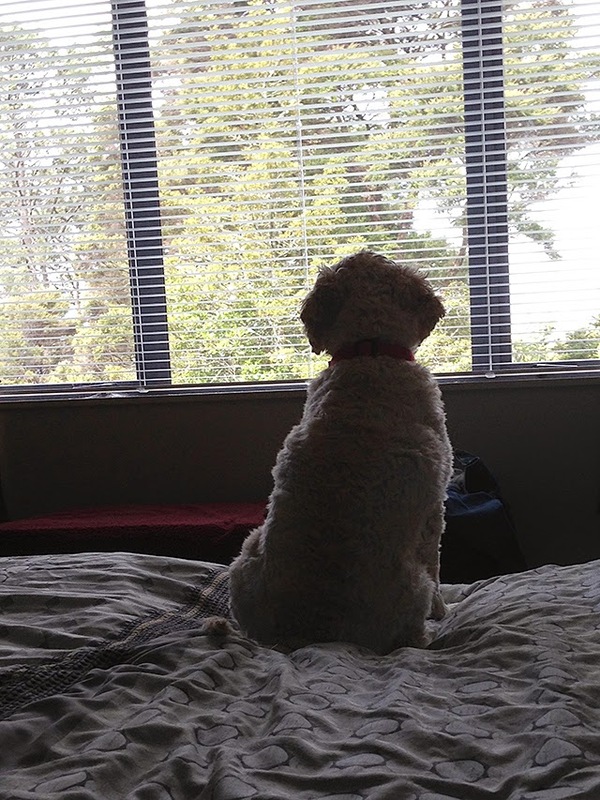 Ironically, that plays on the exact same fears and feelings of inadequacy that some dog owners have: People often feel guilty about leaving their dog alone for the day, and both the negative nellies and the sellers of this product aim squarely at that. I think that PetChatz is a good idea, though perhaps more so in the future. 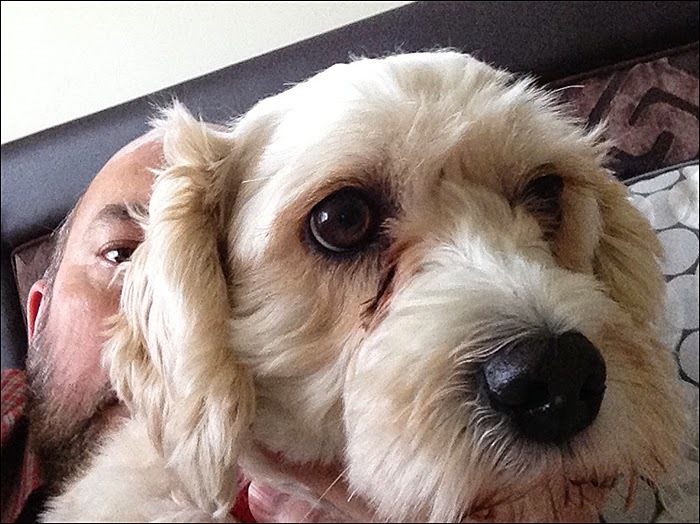 I see holographic visits to one’s dog—though, in the meantime, it’ll be a bigger screen. Even so, some people may find the current version useful. Me, I just like the video. Our friends on the religious far right can, depending on who they are or what they’re up to, abuse us, amuse us, or confuse us. My old pal Bob McCroskrie did the latter to me, but it was the confusion of others I was more concerned about. Bob mentioned me in a Tweet he posted yesterday afternoon, and I replied about an hour later. You can see the entire exchange above. At first, I had no idea what the point of it was. Because of our previous exchanges, banter, and jousts, Bob knew “of” me, and knew that I’m a strong advocate for LGBT people and marriage equality in particular. Despite the depth of our disagreements, none of our Twitter exchanges ever became particularly personal, in my opinion, and they were, to the extent possible, reasonably cordial most of the time. I don’t know whether Bob would agree with me about that, since I haven’t asked him. Bob’s Tweet was about a very strange case out of the USA and the Tweet was, I think, trying to call attention to the story by implying that advocates for LGBT equality, supporters of President Obama, or both, wanted to keep the whole thing a secret. That’s absurd on its face. In fact, I first read about the story on the gay blog Joe.My.God. * (where I also saw a follow-up post today). In the USA, the radical right anti-gay industry was doing cartwheels over the initial arrest reports, as you’d expect them to do, so there was plenty of repeating the story in that country. In New Zealand, where HRC and who gives money to US political candidates is of zero interest or importance, I doubt there was any coverage—why would there be? My point is that in the USA, where the story is based, it was hardly a secret, so I suspect that Bob included me in the Tweet to needle me—something along the lines of what we’ve both Tweeted in the past. That’s the spirit I took it in, so I chose to respond matter-of-factly*. It occurred to me later, however, that Bob’s 1073 followers, not knowing our history of banter, wouldn’t know why I was mentioned at the end of the Tweet. I was briefly concerned that they might think I was connected in some way, that I condoned sexual relations with underage people, that I might be such a person, that I was an apologist who would ignore criminal behaviour from someone on “our” side of the political divide—even someone I’d never heard of—because they’re on “our” side. But I can’t control what Bob’s followers think, and the true believers among them—fewer than the total number of followers, of course—would usually be prepared to think the worst of me no matter what. That’s life. I’m sure that Bob never meant to imply anything negative about me personally. Instead, I’m sure his intent was merely to needle me, which is fair enough in politics. So, this was a bit mischievous, but no big deal. Of course, it could have been something bigger if Bob had ten or a hundred times the number of followers, or if he’d written it to stir up trouble for me personally. Neither was the case here so, no harm done. It even made me laugh a bit, given our history, that Bob would include me in the Tweet. However, I do think this underscores—for me, at least—the importance of using some caution online to avoid giving people the wrong impression about people they don’t know. Because other people will think whatever they want to, I don’t put people’s Twitter names at the end of such Tweets unless I put a “cc” in front of it—precisely because of the potential for confusion and misunderstanding. I may also (though equally rarely) direct such a Tweet to someone. That’s just me. What other people do is their business. The reason that any of this matters at all is that people seem to have hair-trigger responses online, willing to launch into all sorts of attacks and fights based on little if anything of substance. In such an environment, misunderstanding and confusion can quickly lead to incivility. To help avoid such unpleasantness, I think it’s important to be careful about not contributing to the confusion of others. *For the sake of accuracy, the original post I saw appeared on Joe’s blog on Thursday, US time, which was Friday here. At the time I replied to Bob’s Tweet, I thought it had been Thursday our time, not USA time. I only realised my error when I went to research the facts for this post. So, I saw it the day before Bob’s Tweet, not the “couple days” I said in my Tweet. I still haven't had time to blog, or the energy, so here’s just one more photo of the furbabies. Well, one more for now, anyway. 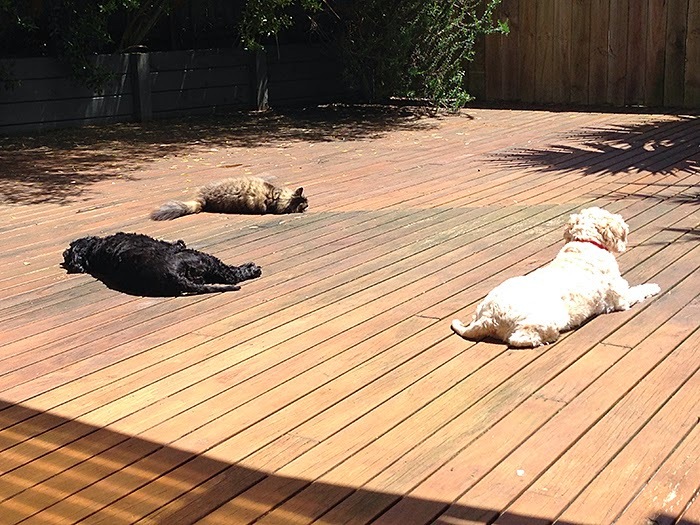 I took this photo Thursday afternoon as the three of them were lying on the deck together. Sunny happened to lift her head, but up until then, she’d been sleeping, too. It’s not at all unusual for the three of them to lie close to each other—even far closer than that. Most nights the three of them sleep on the bed right close to us—how close, precisely, depends on the time of year and how cold they are: In winter they’ll nudge up against us, but in simmer they may jump down to stay cooler. During the day, I often find them lying near each other on the living room floor or on the bed. The three of them are pretty social, obviously. Their social natures were pretty evident at the party last night, where most of them wandered around quite happily. Sunny enjoyed prowling for dropped food last night (including a sausage), but Jake mostly stayed by himself in the bedroom for the first part of the evening. He did, however steal a pork chop (the first time, as far as I know, he’s stolen food off a table—well, it was left unattended…), and later in the night he was prowling for dropped food, too. Bella jumped up in my lap several times. Despite running a wee bit too late, especially the karaoke, the party was fun and everyone had a good time. There was plenty of food, all of it yummy, served up with a lot of laughs and talk. It was a good night. We very seldom have parties, maybe once a year (our last one was over a year ago to celebrate our marriage). This is probably a good thing, really, because it turns out that I can’t take late nights quite like I used to, so I was tired all day today, something that not even a nap properly fixed. And that, ultimately, meant I just didn’t have the energy, mental or physical, to do a full post. At least, I didn’t think I did until I decided to post the photo above. And that ended up leading to a post, it seems. Once again, the furbabies have saved the (blogging) day. I’ll be extremely busy the next couple of days getting ready for a family party, and I don’t know if I’ll have time to post anything. Bella obliged, providing me with content. She’s good like that. 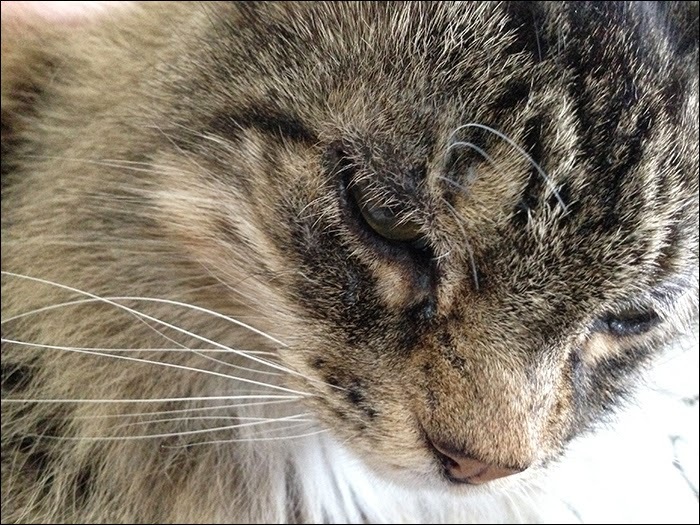 The photo above is of Bella as she was just waking up yesterday morning. 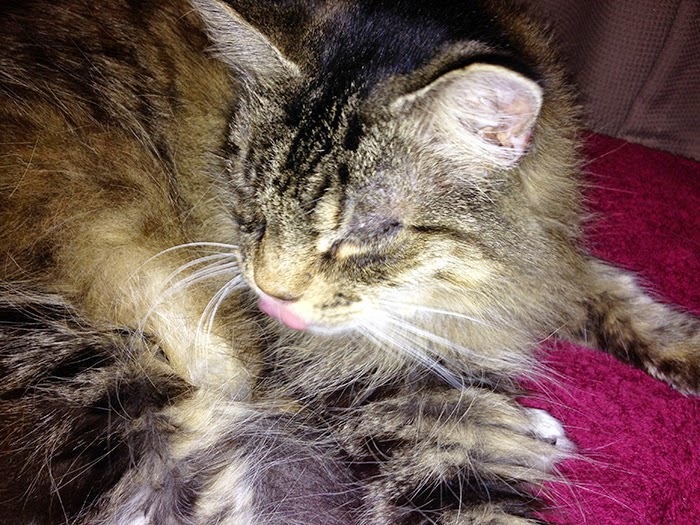 You can see a bit of her tongue sticking out—she was in the middle of her first (slow) wash. To me, her sleepiness seems obvious. So, because I may not have time to post anything else today, and because I haven’t posted a photo of Bella in awhile, this is the perfect solution for right now. I recently ran across the video above, and thought it was interesting. I didn’t share it here, though, because I couldn’t—well, didn’t want to—independently verify its claims. Still, it IS interesting. I saw commenters on YouTube (yes, I usually avoid YouTube comments) were taking exception to the mention of Russia invading Ukraine. The naysayers were correct on very, very technical point—apart from the forced annexation of Crimea. The plebiscite for that annexation reminded me of the 1938 Anschluss between Nazi Germany and Austria, and for many reasons, actually. That aside, the video seems mainly accurate to me. From what I could easily tell, any errors weren’t big enough to take away from the central message, that war between nations may be over. I hope they're right. At any rate, this is an interesting attempt to visualise historic data, and I think we need more attempts at making complex topics more easily understandable. Until now, I haven’t said much about the campaign for Leader of the New Zealand Labour Party. Today is the only time I’ll say anything about the result. The campaign is over, there’s a new Leader and, as the photo above shows, I’m still a member. That’s the entire situation in one sentence. There were folks who, no matter who’d won, would have complained—and not all of them were Labour Party Members, of course. In my case, by the end of the campaign, I was frankly bored with it. After a month of constant emails from one contender or another, I stopped even bothering to read them. I began to not care very much. That said, I backed Grant Robertson for Leader and, for me, all the other contenders were in a three-way tie for last place. One could assume from that fact that I’m disappointed by the fact that Andrew Little won. Sure, I am a bit, but it’s not so much because the guy I backed didn’t win—it was because I think the whole process was fundamentally flawed. When we went through this process last year, David Cunliffe was the clear winner on round one. I didn’t back him, either, but the victory was definite and he won a clear majority of votes from party members. This time, Andrew Little won only because of the unions, and I just don’t think that’s a good or healthy thing for the party. I should make clear that I support the rights of workers and think unions need more power, not less. In the past, I was a proud union member. However, I don't think they should be able to determine—virtually all on their own—who becomes the Leader of the Labour Party. Grant Robertson won the support of Caucus, as he did last year. He also won the support of party members. But Little’s support among his fellow unionists was so strong that it swamped the other two. It doesn’t seem fair or just that they should be able to do overrule both Caucus and the membership. So, Andrew Little starts with a bigger problem than David Cunliffe had: Cunliffe lacked the support of caucus, but had the support of the party and the unions. Little only had the support of the unions. That suggests that the factionalism of the party could continue, and might even get worse. At least, that’s what some pundits are claiming, though somewhat dubiously, in my opinion. There was tremendous factionalism when this leadership contest began, but it was mostly about how the candidates for Leader were, at first, all white men. But by the end of the campaign—with three white men and a Maori woman—that complaint had lessened. In fact, not even the most ardent lefties said much of anything. Still, soon after the announcement, my Twitter timeline had people declaring they’d burn their Labour Membership card, which would be rather unwise—they’re now made of plastic. Others were clearly happy. Me—I felt indifferent. But at no time did I contemplate quitting the party. Even so, I’m not a fan of Andrew Little. Years ago, I worked for a media company that was “reviewing” its processes with an eye toward getting rid of workers. My coworkers and I—at my insistence—decided we’d better unionise so we’d have someone to fight for us. I invited in the Advertising Guild rather than the larger EPMU—then headed by Andrew Little—because I didn’t like him. Seeing him on television, I felt he was confrontational and negative for its own sake. That feeling stayed with me in the years that followed, and I wasn’t pleased to see him become, for a time, President of the Labour Party amid talk of it as a first step to the Leadership. But my real complaint isn't about who won the leadership, it’s about some structural issues. Apart from unions having too great a say in choosing the Party leader, I also think that this selection was done backwards, before the review of this year’s election defeat is completed. I think it should have been the other way around: Look at what went wrong, what’s needed to win, and THEN find the leader best able to achieve that victory. During the election campaign, I didn’t feel I could, or perhaps should, make any criticisms. During the Leadership campaign, I didn't say much because I didn’t have much of anything to say. Both were problems in their own right: Having a blog means saying things, but for whatever reason, I didn’t say anything critical about Labour for many, many months. 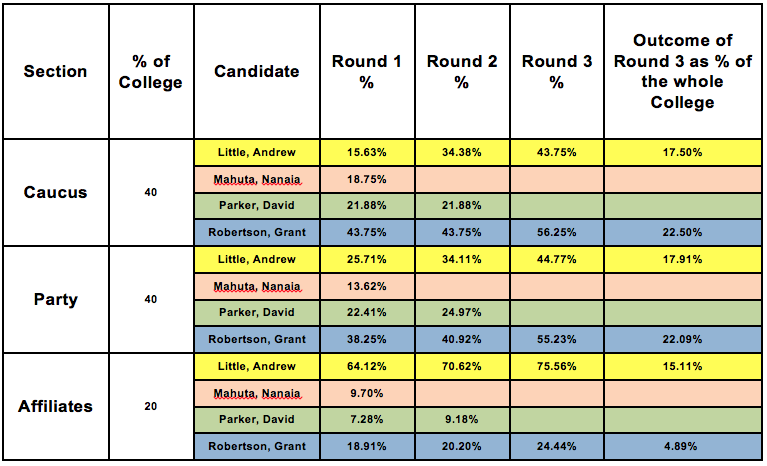 So: Despite my personal reservations about Andrew Little, despite my unease with the obvious divisions in Labour as shown by the results, and despite feeling that the weighting of votes in leadership contests is fundamentally unfair, Andrew Little has my unqualified support. That’s why the photo at the top is of me holding my Labour Party Membership Card today: I’m not quitting. Why on earth would I? I’ve had misgivings about party leaders in the past and no doubt will again. What does that have to do with anything? Labour is still the best vehicle for expressing my political values, and the Leadership election result doesn’t change that. The reality is, my preferred candidate didn’t win—so what? A grown up shrugs his shoulders and moves on. I’ve always been a pragmatist first and foremost because I firmly believe that achieving 50% of one’s agenda is better than NOT achieving 100%. Ideological purity is fine for people who don’t care about achieving anything, but there are far too many New Zealanders who are being left behind to wallow in the selfish luxury of ideological purity. With the leader selected, the party can now turn to the huge task of rebuilding for the 2017 elections. I don’t know what, if anything, I’ll say about that. I don’t know if I’ll even feel like saying anything. But I do know that I’ve now said all I intend to about the selection process and the new leader. I’ve been pondering the value of blogging and podcasting lately, mainly because of my lack of time for such things. I know that in general they have value for readers and listeners (my own offering perhaps notwithstanding), but what I’ve realised lately is the value they have for me. A friend was commenting on Facebook about wanting to “do something” with his writing, though he wasn’t sure quite what. I suggested he start a blog and in the suggesting I realised that I was sharing what I value most about the medium. Blogging is, first and foremost, a means of personal expression, one we control. By publishing it openly online, anyone who cares to can have a look, maybe even offer a comment (though probably not). But through the process of blogging, I think we become better writers. I know I have and many other bloggers will say the same thing. It’s all about practice, and the fact that a personal blog offers a place to experiment in a virtually no-risk environment. Through blogging, I’ve met some wonderful people. And by “met” I mostly mean interacted with, since there are very few people I’ve met online that I’ve later met in real life. But that interaction has be so valuable to me: Sometimes it’s feedback, sometimes its discussion, sometimes its criticism, but, perhaps most valuable to me as a blogger, it’s also sometimes been inspiration, as I try things other bloggers have done, or maybe adopt some of their techniques. So, blogging has helped me be a better writer, and the interaction has led to many interesting and fulfilling discussions. For me, at least. Podcasting has been very similar. I’m much better at audio presentation than I was when I started, though I’m quite rusty at the moment. By listening to other podcasters, I learned ways of modulating my voice, changing stresses and emphasis to suit the material. Sometimes my experiments worked, sometimes they didn’t, just like with blogging. Also as with blogging, I’ve “met” some really wonderful people, other podcasters and podcast listeners. It’s had a huge impact on my life. Today Nigel and I met with a well-known podcaster who uses the “nom du Podcast” of Auntie Vera Charles. He was here with his “angel husband Gooch”, as well as a friend of theirs, and also two guys I know of through other podcasters (I hesitate to mention any of the others’ names because they’re not podcasters or bloggers and, as I’ve said many times, I tend to be overprotective of people who don’t have such online personas). They were all about to head to their homes, so we met up at Auckland International Airport for some laughs and good times. This reminded me of how much the personal side of podcasting has meant to me, especially when I realised that six out of the ten visiting Americans I’ve met up with in New Zealand are connected to podcasting in some way (the other four were people I knew in real life, but even two of them later had podcasting connections, too!). Nigel and I also met up with an Australian podcaster, Little Aussie Battler, as he headed to the USA. (On my last trip to the USA, I also met US podcaster Tom, the Ramble Redhead). The point is, I’ve met some wonderful people through podcasting (and I haven't even touched on the listeners I’ve met!). The same is true for blogging, even though I’ve met far fewer people through it. Giving advice to my friend reminded me of that importance. But time has been short over the past few years, and that’s meant cuts to blogging and, especially (! ), podcasting. The reality is that to this day, the reach of the content I’ve created through my podcast greatly exceeds that of this blog. You’d think I’d put more energy into it the podcast, wouldn't you? But I needed to claw back time somewhere, and that was an easy place to get it. I’ve cut back on blogging, too, though, and it’s entirely likely—maybe even probable—that this will be the first year since I started in 2006 that I don’t achieve my goal of an average of one post per day. I wish I’d have been better at managing my time so that I could have produced more blog and podcast content. But I wasn’t (and I take for granted it was a personal failing, rather than anything else). Can’t change that now. But, through it all, the ups and downs of both blogging and podcasting and what I perceive to be my inadequacies in doing either, I still have those human connections that I’ve made through them. I treasure those connections because they make everything worth it. What I’ve had emphasised for me once again through all this is that humans matter most—more than what I think I “should” have done, and more than what I certainly could have done. People matter. And they alone make it all worthwhile. So go ahead an leave a comment or something—that’s the sort of way all those connections started! I started several blog posts today, but stopped partway through each one. I just wasn’t feeling them. I was about to give up for today, but then our puppies saved the day. It wasn’t their idea, of course. Yesterday I’d snapped a couple photos, and this evening I remembered that. A post was born, the (blogging) day was saved. The photo up top is Sunny looking out the window. I’m not quite sure why she was doing that, though a fly had gotten into the house (I had the deck doors open), so maybe she was looking for it. Or, maybe she was just enjoying the view. It’s not the first time she’s done that, and only a minute or so earlier she was rolling around on the bed and grunting, something else she often does (it’s why the duvet cover is a little messed up). This was the longest I've seen her do that, though. 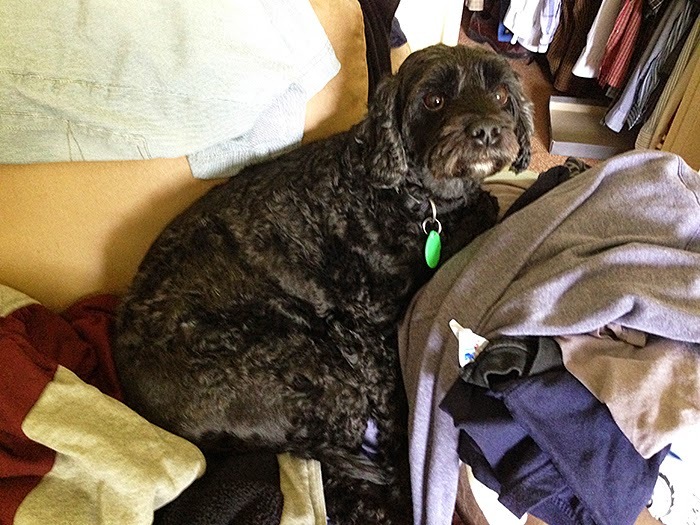 The photo of Jake below is of him after he crawled up on a pile of clothes on a chair in the bedroom—sweatshirts and things I’d unpacked from our recent trip to Hamilton (and, yes, not yet put away…). When I saw him, I could swear he had a guilty look on his face, like he thought he was in trouble for being where he was. As if! Cuteness is a wonderful shield. I think this photo makes him look like he's slightly annoyed at having his photo taken. Bella was sleeping outside while all this was going on, so no photo of her yesterday. I posted photos last month, though. So, the puppies helped save the day, giving me something to post, after all. They’re helpful like that. Today the Waitangi Tribunal may have changed everything. Or, not. The fact is, we don’t know and, in any case, we really don’t know. The ruling related only to the Bay of Islands and the Hokianga, but it found that the chiefs who signed the Treaty of Waitangi in 1840 didn’t cede sovereignty to the British Crown. Nevertheless, at some point the Crown DID gain sovereignty. What, when and how that happened matters rather a lot, but none of that was included in the report. If Maori really didn't cede sovereignty to the Crown in 1840, but the Crown now has it, then when and how did the Crown achieve sovereignty? No one could deny that by the mid-to-late 19th Century the Crown had sovereignty, but if that wasn’t from the Treaty, where did it come from? Conquest? Because, if it’s conquest the entire founding myth of New Zealand has been destroyed. It must be noted that many Maori insist—and have for a long time—that Maori did not cede sovereignty through the Treaty. In that sense, nothing is new. But will Pākehā accept this newly insistent interpretation? Personally, I don’t think that most Pākehā New Zealanders will accept or agree with this ruling. Despite what some may claim, that rejection isn’t necessarily about racism, but more often about defending what they’ve always known to be true. Sure, there will be some racists reacting, but they aren’t even remotely representative of all Pākehā, most of whom will simply struggle to understand what the ruling says, let alone what it implies. As a relative newcomer to New Zealand, only some 19 years so far, I don’t have a dog in this show. But I do think that anyone arguing about this needs to understand how challenging this is to Pākehā New Zealanders: It amounts to up-ending their entire understanding of what New Zealand is and means, and that’s no small thing. I don’t know what, if anything, this means for the future. Given that the National Party is leading government, I don’t expect anything will change, no matter what. That shouldn’t be a surprise. But, if we really have a mature society, we ought to be able to discuss all this—and the implications—calmly and rationally, right? Above is yet another video from BuzzFeed, but one I found more, um, relevant to me. Well, not me, actually, but people I know—yeah, that’s it. Okay, people with dogs—we’re all at least a little weird, and that’s what this video is about. The recognition of experienced reality may make this a little more relevant for me than non-dog people, but I think most people can at least see people they know. This video is from a sub-grouping called BuzzFeed Violet: “BuzzFeed Violet: the good kind of awkward. Short, relatable videos that are totally you. Just like BuzzFeedVideo but violetier.” I do like their sense of humour. I recently ran across the video above, “How Wolves Change Rivers”, and thought it was fascinating. So much so, that I wanted to share it here, as I often do with things I see somewhere on the Internet. That’s one of the reasons for having a personal blog, isn’t it? When we hear about unexpected environmental consequences, it’s usually about something going wrong—sometimes even spectacularly so. Which is why this captured my attention: It’s refreshing to see unexpected environmental consequences that are GOOD. The truth is, smart as we humans are, there’s so much we don’t know about our own planet and everything on it. Still, we’re learning more all the time. It’s good when the rest of us can come along for the ride. I’ve been too busy to say anything about the recent US elections. That’s been for the best, though, because the time and distance gave me a chance to think about it beyond mere reaction—it’s allowed me to compare and contrast between my two countries. One advantage of being bi-national is being able to look at both of one’s counties as an insider and outsider, simultaneously. Well, I think that’s an advantage, anyway, but it comes with a caveat: In elections, one can easily be disappointed by elections in two countries, and this is one of those years. I can’t remember the last time I voted for a Republican candidate for any office in the US, state or federal—it would be decades. I mention that to make clear why there’s no way I’d be “okay” with the results of the US elections, no matter how much I understand why and how the results happened—and I DO understand, far better than most TV pundits and commentators, it seems, but that’s for another day. The fact is, no matter how much I knew the results were pre-determined, I was nevertheless disappointed. In New Zealand, where the results were far less obvious, I was similarly disappointed (I’ve always voted for Labour in nationwide elections). But that’s where the similarity ends. In the USA, Republicans are emboldened to try and govern as if they alone run the government. They’ve never been serious when using rhetoric about bipartisanship, and the next two years will be worse than since they took control of the US House back in 2010. Far worse, even. In New Zealand, the National Party will continue to push its agenda as any party in government would: They don’t have to compromise on much of anything, and they won’t. If they moderate their agenda at all, it’ll be because they’re eyeing the 2017 elections. That’s not a slam, either: If Labour had won, it’d be the same situation. The big difference is that the party leading NZ government doesn’t pretend it will work with opponents, and usually doesn’t (except in certain circumstances, like war). But in the USA, Republicans would have to get their ideologically driven legislation past President Obama. If he vetoes their bills—and he will sometimes—their juggernaut will be dead because the Republicans don’t have the votes to override a veto (two-thirds votes in both houses is needed, and they’re nowhere near that). I wonder how many times President Obama will have to veto repeals of Obamacare? Here in New Zealand, we don’t have those sorts of checks and balances: If John Key and his National Party went rogue and started pushing through extremist legislation, there’s not much anyone could do about it. This has led some Kiwis to say we should have an upper chamber like other countries, but that’s absurd: Such a chamber would be an expensive way to change little if anything at all. I think that the USA’s structure may actually encourage divisive partisanship: Having the executive and legislative totally separate invites bitter fights between the two branches, particularly when, as now, Congress is in the grip of hard ideologues who are intractably opposed to anything and everything the executive does. They know that their most extreme legislation will be vetoed (and killed) by President Obama, and that gives them license to pass extremist legislation with very little consequence (just as when Democrats controlled the Senate and Republicans could endlessly vote to repeal Obamacare—and they did—safe in the knowledge it would never get past the Senate). So, Republicans will be able to pander to their most frothing base (for votes and, even better, money) while not actually inflicting extremist laws on the country. From their perspective, it’s a win/win situation (unless their partisan games piss off centrist voters…). In New Zealand, the executive and legislative are joined. If the government of the day wants to pass more extreme legislation, it requires the support of allied parties, but that’s not as hard as having to create an extraordinary majority as would be needed in the USA. On the other hand, that occasional need for support can lead to moderation of government proposals. Ultimately, the main check and balance in both countries is the same: Elections. But here New Zealand is far superior to the USA. New Zealand’s MMP system ensures that our Parliament precisely matches, as closely as possible, the will of the people. Its flaws would have been addressed had John Key not killed the proposed reforms and the entire reform process. Even so, and despite its flaws, MMP ensures that we don’t end up with a Parliament run by a party only a minority of people actually voted for. In the USA, in contrast, very often the minority candidate—one who gets less than 50% of the popular vote, and sometimes dramatically less—can easily end up being elected to office. Because Congress has no proportionality, a party supported by a minority of voters can end up in charge. That just can’t happen in New Zealand unless the voter turnout is very low. But even there NZ is better, with voter turnout usually at least double that of the USA. So, the USA’s constitutional structure offers some, if imperfect, protection from extremism, while in New Zealand it’s primarily our MMP electoral system, with elections held every three years, that provides that function. We can quickly and easily change the entire direction of the nationwide government, while in the USA, that’s very difficult to do. The USA’s system encourages bitter partisanship when the executive and legislative are held by different parties, but New Zealand’s system—and especially MMP—encourages more collaborative approach to government, even if sometimes only marginally so. There are specific things that I think can and should happen to fix the USA’s problems, some of which are at least feasible (proportional representation is not one of them…). There are also things that can be done to improve New Zealand’s system (and upper house is absolutely not one of them). Those are topics for the future. 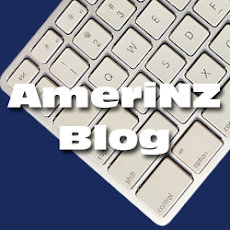 For now, and from my bi-national perspective, I think that at the moment the NZ system is better than the USA’s. 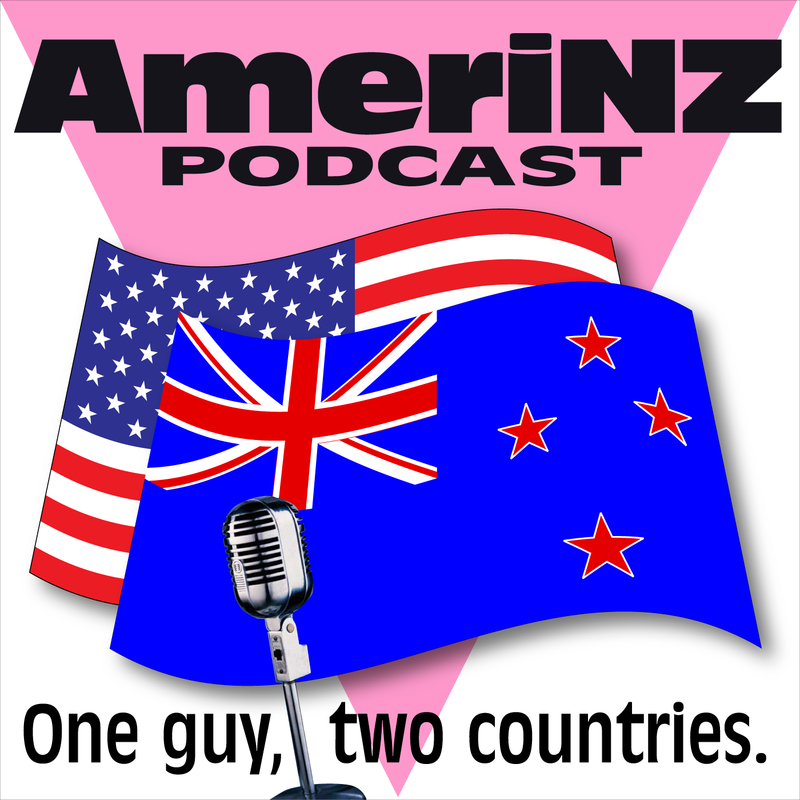 Reform can make the USA’s system function again, but necessary reform is far more likely to happen in New Zealand than in the USA. For me, that’s the biggest tragedy of all, and it was underscored by the recent US elections. So, yeah, I’m disappointed by elections in two countries this year. 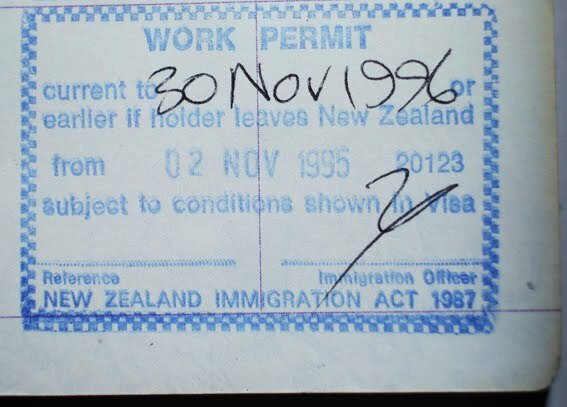 But at least I can clearly see how things in NZ could get better, while I’m far, far less optimistic about my homeland. And that’s the bitter lesson I learned from the two countries this year. The video above is one of the best marriage equality ads I’ve ever seen. It’s part of a campaign to encourage young Irish people to register to vote so that they can vote for civil marriage equality, to “make Ireland a more equal place for our LGBT friends”. The film was commissioned by BeLonG To Youth Services, which is encouraging all young adults to register to vote by November 25th so they can vote for marriage equality next year. Yes Equality is a coalition of groups joining together to promote marriage equality in Ireland, and BeLonG To Youth Services directs people there. Absolutely brilliant, and well made, too. As I’ve made abundantly clear plenty of times, I am utterly, completely and totally opposed to EVER allowing the majority to vote on whether minorities will be allowed the same rights under the law that the majority takes for granted. The offensive absurdity of such votes is best summed up in “Sinead’s Hand”, the first video from Ireland’s Marriage Equality (below). The video was released in 2009, and I can’t believe I didn’t post it here because it’s so good. I posted the group’s second ad, “Rory’s Story”, in 2011. It’s another of their issue-oriented ads, and highlights why marriage equality is important, which is good. But giving people a reason to care, well, that’s a much harder thing to accomplish. That’s why I think the “It’s In Your Hands” video is so great. Mostly, it’s just a truly brilliant video for marriage equality. The annual Christmas ad for the UK department store John Lewis has been released (video above). Until last year, I’d never heard of John Lewis, but I saw their 2013 commercial and posted it here because it was nice. So is this one. The music used in the background, “Real Love”, is performed by Tom Odell (I own his debut album, Long Way Down, which was released last year). The song was written by John Lennon. And, if it wasn't for the Internet, I'd probably still never heard of John Lewis, nor seen their commercials. That's nice, too. I’m flat out with work right now and don’t have time for substantive posts. But maybe with the events of this week, this is a good alternative. Today is Election Day in the USA. This year’s elections are called “Midterm Elections” because they fall in the middle of the president’s term, and historically such elections have shockingly low voter turnout. The most motivated voters in midterm elections are usually those who oppose whoever the current president is, which is why the party holding the White House usually loses seats in Congress in the midterm elections. 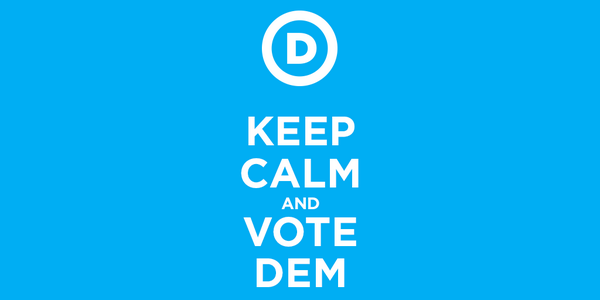 I’ll have more to say about the elections once the results are known, but obviously I think that all US voters should vote Democratic, and also that all Democrats must vote. Is John Key taking us to war? John Key was on the news tonight. He said that ISIS/ISIL is "the most significant threat in modern times". The first thing I thought to myself was: We have always been at war with Eastasia. The rhetoric of the politicians calling for war in Iraq and Syria has been wholly unconvincing and becoming ever more nonsensical the more they try to promote their latest war without end. New Zealand shouldn’t have a bar of it. "You can see their reach around the world and my own view is these people present the most significant threat in modern times, primarily because they're very well organised and very well resourced." Hang on a minute, but didn’t they say that about Al Qaeda? About Iran? They said many of the same things about Saddam Hussein, about the Viet Cong, about the Sandinistas, about Shining Path, about Cuba, about—you get the idea. Whenever politicians want to get people riled up and cheering for war, they claim it’s a fight against “the most significant threat in modern times”. Always. But let’s look at the real record, shall we? Al Qaeda carried out attacks around the world before it was hobbled though legal and illegal military action. ISIS/ISIL has not mounted such attacks, and there’s no evidence that they have any capacity to do so. Instead, they’ve ordered their sympathisers around the world to murder innocent people in the countries that are fighting them, and we’ve seen attempts at such “lone wolf”-style attacks. If John Key sends us into the latest war without end—and he admitted the war will go on for a "significant period of time"—there will be Kiwis murdered here in New Zealand because of it. Still, Key claims to not have made up his mind what, precisely, New Zealand will do, and it could be merely humanitarian aide. More likely, it seems to me, he’ll send military support. Whatever Key’s motivations for sending us to war, there’s far more going on: He wants us to be afraid. As part of his plan, he’s going to push through Parliament new powers for the spy agencies, and we’re almost certain to not be told what, precisely, they’re up to. Key will use domestic threats as his justification. But existing laws give the government power to deal with people aiding and abetting terrorism, whether they’re fundraising or planning to travel to the Middle East to join the fighting, and I don’t think most people would argue against using lawful means to protect us at home. But that’s an entirely different thing to sending New Zealand military forces to join the latest war without end in the Middle East. New Zealand has for decades stayed out of wars that don’t have a mandate from the United Nations, and the ISIS/ISIL war without end has no UN mandate. There’s no reason for New Zealand to suddenly and radically change course now, no matter how much John Key wants us to. But, John Key can pretty much do whatever he wants, and he knows it. We all may just have to accept that we have always been at war with Eastasia. Today is my nineteenth Expataversary, the anniversary of the day in 1995 that I arrived in New Zealand to live. That means today is also the day Nigel and I always celebrated as our anniversary, though we now have many options for that. This year was a little surreal for me. This day is “the day that mattered”, as I called it back in 2012, because it’s when my life in New Zealand—my life with Nigel—began. Everything that’s happened in my life over the past 19 years grew directly from that day in 1995. That’s why it matters so much. Today, however was kind of surreal. I got up around 8:30am to watch the New Zealand All Blacks take on the USA Eagles in a rugby match played at Soldier Field in Chicago. It’s kind of surreal in itself to see the All Blacks play in the USA, something that hasn’t happened for a very long time, but it was even more surreal so to see them play in Soldier Field in my old hometown, the very city I left nineteen years ago. 62,000 people packed into Soldier Field to watch the Number One-ranked national rugby team in the world—the All Blacks—take on the 18th ranked USA Eagles. The final result was probably obvious (the final score was All Blacks 74, USA 6), but it was important for rugby in the US and the high demand for tickets clearly means it appealed to Americans. Much to my surprise. When I lived in Chicago, I barely even knew what rugby was. It wasn’t until I moved to New Zealand that I grew to understand anything about the game, or to appreciate it. And then today, the past and present caught up with each other in a weird way. Well, weird to me—apparently less so to the 62,000 fans at the game. And that’s one thing I’ve learned over these nineteen years as an expat: Never assume anything’s forever, or that nothing will change. Because change is constant—usually for the good, sometimes not. And sometimes it can even surprise. Nineteen years ago today, I took a chance on a really big personal change. It worked out wonderfully, obviously, and it turned out to be the best thing I’ve ever done. But that, at least, doesn’t surprise me at all. So, nineteen years an expat, nineteen years with my wonderful Nigel, and nineteen years building a life together in this beautiful country. It all began on November 2, 1995. No wonder I keep celebrating it. 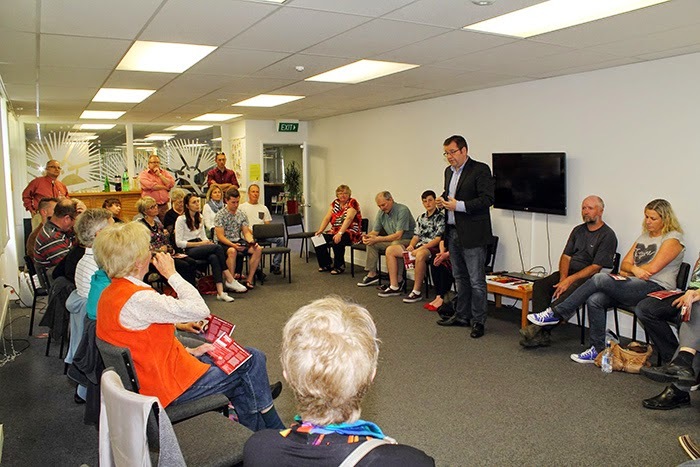 Today I went to Browns Bay to join other Labour Party members on the North Shore to meet with Grant Robertson in the last of his informal meetings in his campaign for Labour Party Leader. He’s the first of the candidates for Leader who’s come to the North Shore, though Andrew Little is due here tomorrow. It was a good event. The photo at the top of this post is one I took of Grant during the question and answer segment. 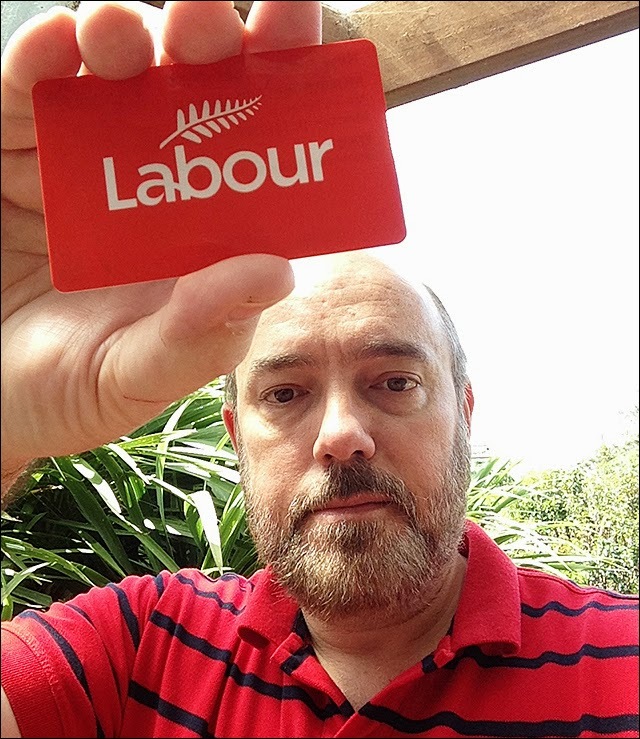 The photo at the bottom of this post was posted to Facebook by Labour Auckland North. It looks toward the area where I was standing sometime later; I was late arriving due to traffic on the motorway. Actually about a dozen or so people arrived after me. There were maybe 40 or so all up, enough that the room got uncomfortably hot. Good thing it’s not summer yet! Grant began by telling us about himself (the part I missed) before moving on to talking about what we can expect from him should he become Leader. He also talked about his commitments, listed on a small flyer and on his campaign website (http://www.grantrobertson.co.nz/commitments). One of his commitments is what he calls Labour in the Community, an ongoing engagement by Labour in our local communities, and not just for the six-month campaign every three years. We were talking about exactly that sort of thing some weeks ago when our electorate committee met for our campaign de-debrief. 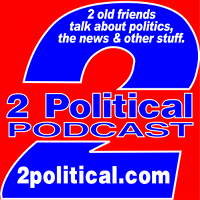 We see it as a way to build the party and get people interested and involved, rather than showing up only at election time. What I particularly like about the proposal is that it means Labour supporting people’s local campaigns and initiatives to improve their communities. This particular gathering was basically about Labour, of course, but he also talked about remaining committed to core Labour Party values of fairness, opportunity and shared responsibility to one another. He also said that Labour was a party formed by and for workers, but the nature of work is changing, with increasing casualisation of work as well as people who were formerly workers who supported Labour now being entrepreneurs, small business owners and contract workers. Grant said that the party must address their needs, too. All in all it was a good opportunity to hear directly from him about the challenges and opportunities ahead. I got to ask the first question, and I asked that even though, as he’d mentioned, the division in the Labour Caucus was quite small and blown out of proportion, was he prepared to knock some heads together if necessary. He said that wouldn’t be his first choice of action, of course, because his leadership style is consultative and inclusive, so caucus members will have buy-in to the policy and programme of the party and caucus. But, he said, should the necessity arise, the party already has a range of penalties available to it, and they would be used if needed. He said there has to be consequences for bad behaviour. Jacinda Ardern, Grant’s choice for Deputy Leader, was also at the gathering, which was a real bonus, since she’s been sick recently. I’ve met her a few times now, and have always been impressed with her command of policy. There’s no doubt that Grant was in his element. He was relaxed, friendly and spoke very well about sometimes complicated issues—all things a good party leader should be and do. I think that the people in the room were suitably impressed. I won’t be able to go hear Andrew Little tomorrow, since I have another event at the same time, and it’s not looking promising for me to attend any of Auckland’s three hustings (candidate meetings organised by the party with all four candidates present), so I’m glad that I at least got to see and hear Grant. Labour has taken a lot of flak, mostly from the rightwing, about the way we choose our party leader, but I think it’s a good process and system, on the whole. I also think that party members absolutely should have a say in who the party leader is. The Green Party involves its members, but don’t seem to get nearly the same level of criticism for it as Labour has had. C’est la vie—it’s our party to structure the way that works best for us and our electoral campaigns, and we really don’t need somewhat self-serving advice on that from our political adversaries (who quite possibly are more worried that their party members might want a say, too). I’ll have a bit more to say about all this soon. Voting for Labour Party Leader closes at midday on Tuesday, November 18 and results will be announced at 2pm that day. 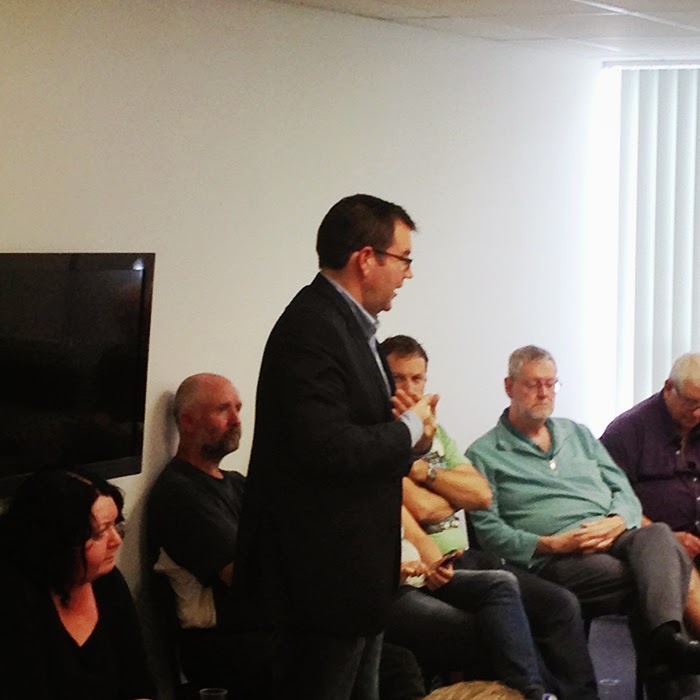 Grant Robertson speaks to Labour members in Browns Bay, Auckland this afternoon. This photo was taken before I arrived. (Photo: Labour Auckland North Facebook Page).